Roger Bryant – HOBI International, Inc.
Mr. Bryant is currently a Founder and Partner of Co-Partners, LLC, a business consulting firm, and also serves as the Chairman of the Board of FieldPoint Petroleum Corporation, a publicly traded company on the NYSE:MKT exchange. Prior positions include Chief Executive Officer and Chairman of Canmax, Inc., a publicly traded software development company, President of Network Data Corporation, President of Dresser Industries, Inc., Wayne Division, President of Schlumberger Limited, Retail Petroleum Systems Division, U.S.A., and President of Autogas Systems, Inc., the developer of “Pay-at-the-Pump” technology for the retail petroleum industry. 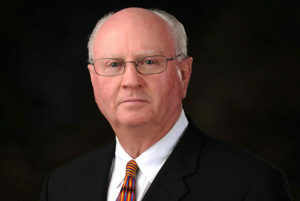 Mr. Bryant holds a Bachelor of Science degree in Electrical Engineering from the University of Alabama, and has served on the board of directors of more than ten private and public companies.